Today we are traveling to a part of the country I've never been remotely close to. So I was so excited to see what those Northwestern-ers do all season. I mean, it snows 10 months out of the year right?! Sabrina sings, she dances, she's a fashionista, she's gorgeous, she's got jokes....she's basically amazingness all in one petite little package. Get to know her....you will love her. Promise. I never know what to say in my introductions!! So I came up with a list of interesting facts about myself... I hope you find them.... well, interesting. I have been on a Camel twice in my life. I HATE chocolate. My eyes change color. I like to rap when I do karaoke. I rarely get embarrased. I like to dance in public places. I have the most loyal friends. I have a BIG OL' FAT CRUSH on Channing Tatum. My left foot is a whole size larger. I have a massive shoe collection. I LOVE ASHLEY!!! Let's face it. Ashley is awesome. I talk to this girl every day. She is one of my go-to girls for ANYTHING. Advice, support, a good laugh... you name it! Plus she is absolutely beautiful. Bombshell. I am loving this Summer Essential Series! And I am so thrilled to be apart of it! 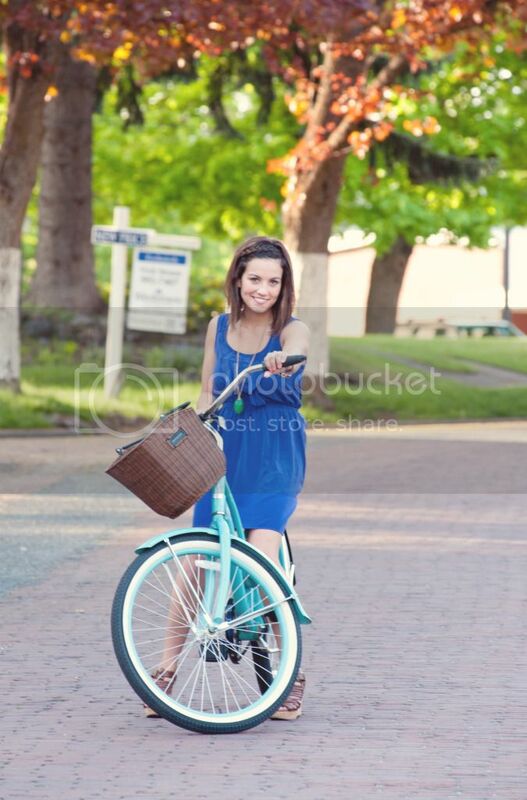 My Favorite Summer Activity: Riding my bike! 1. A Great Fitting Bathing Suit! I swear.. it seems like every bathing suit is now PACKED with padding. I have always had a larger chest... and trust me.. I'm not trying to display the goods any more than they need to be!! 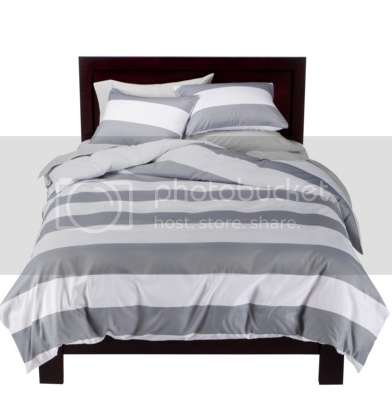 When the nights get hot I dream about slipping into cool crisp sheets. This duvet cover is my most favorite purchase of summer. It's light, breathable and SUPER cute. Thanks Target! You always do me right. I am always torn between maxis and minis! Both are fun/flirty no matter what the occasion! Here are some of my faves from LuLus! Summer time is the best time to go out with a bare face! Your skin already has a natural glow from the sun, but I always love to amp it up just a little bit more! Focus on one feature. I picked the eyes or the lips. Do something unexpected like turquoise liner or a bright coral lip! I promise you will turn heads! Thank you for reading Run With Me lovers!! 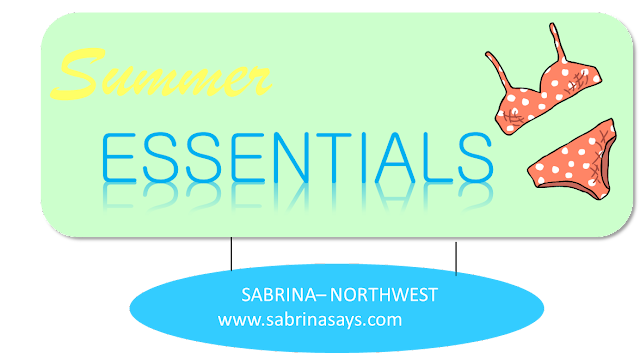 I hope you enjoyed my summer essentials list all the way from the Northwest! Please feel free to stop by and check out my blog Sabrina Says. I hope your summer is filled with laughter, cold drinks and plenty of adventure!! 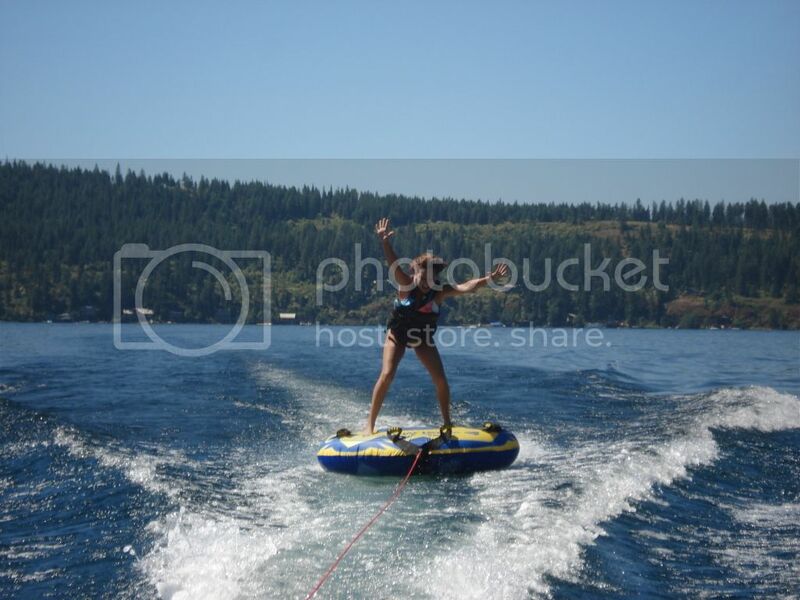 Who knew the Northwest was so much fun?! I certainly didn't! Thanks Sabby-Fresh. You rock! If you missed Katie's SE List yesterday, click here. Stay tuned for more summer essentials and great bloggers tomorrow! Ah- bike riding is my favorite in the summer! I need to get a basket so I can hit up the grocery store...or liquor store...with my bicycle! Her mermaid eyes rock. I need to try that look. love that retro anthro bathing suit. Sabs would look adoooorable in that! i LOVE sab and her bike. she is the cutest little ray of light! confession i always picture the nw super cold, i forget that it actually gets warm every once in a while. although my matra will forever be: say no to snow and yes to sun. gooooooo atl. Love the bike Sabrina! so adorable and fun!! 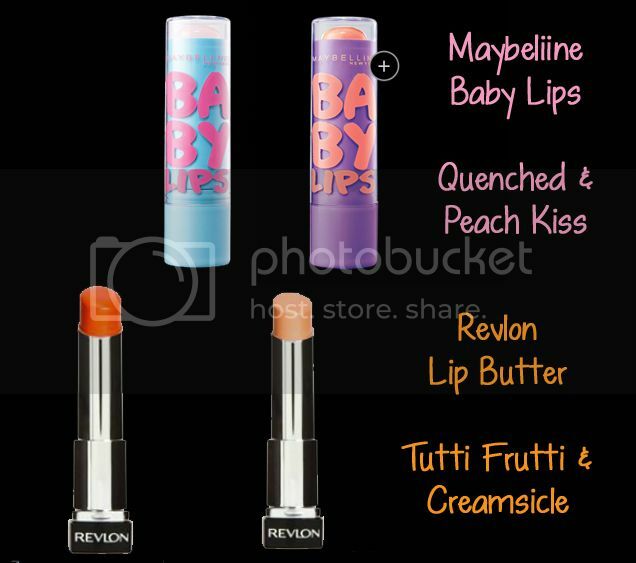 :) I have been hearing all about this baby lips stuff..think I need to purchase! Come on it snows for 9.5 months not 10...I wish I was skilled enough to ride a pretty bike like hers. love sabbys list!!!!!!!! so cute, gosh love you girls sooo much!!!! lately my summer essential has been an umbrella. have i complained about the rain yet? oh, i did yesterday? too bad. i'm still mad about it. Sabrina is so cute. Her bike - I'm jealous!!! Annd that Betsey Johnson bathing suit is just adorable. There's Sabrina being her cute charming sassy self. I wish I had even just half the personality and charm that she does!